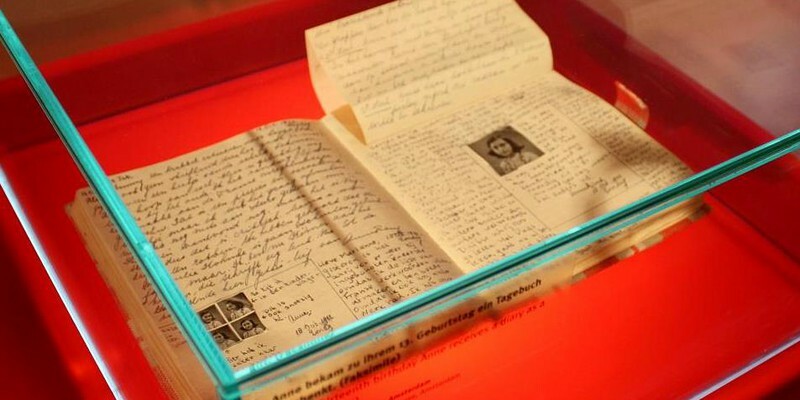 Vandalizing the Diary of Anne Frank: Shift of sentiment or colossal coincidence? By GateAdmin / March 17, 2014, 7:42 p.m.
On February 20, the Japanese government announced that multiple copies of the Anne Frank: The Diary of a Young Girl had been mutilated in public libraries throughout Tokyo, beginning as early as last summer. In the past few weeks, the count has risen to over three hundred copies in more than thirty libraries. The Tokyo Metropolitan Police Department has already begun an investigation and comments by involved officers have revealed that the copies vandalized by a “single perpetrator” mostly fall along the JR Chuo metro line. Taking the police report, timeframe, and volume of books vandalized into consideration, this was clearly an orchestrated effort. The motives of the culprit(s) remain a concern: In light of Prime Minister Shinzo Abe’s rightist reforms, vandalism of the Diary has evoked international concern for ultra-nationalist aggression in Japan. Abe partially blames years of victimization and pacifist rhetoric for a depressed economy and society. Thus, he has deemed imperative the rebuilding of Japanese self-identity. Unfortunately, Abe’s efforts to strengthen Japan have been the repeated subject of South Korean and Chinese censure for perceived militarism, straining already tenuous relations. As prime minister, Abe has taken the implementation of reform upon himself. In the past year, he has proposed the rewriting of history textbooks to include “balanced perspectives” of “disputed facts” such as the massacre of Nanjing and use of Korean “comfort women,” a euphemism describing women and children forced into a prostitution corps established by the Japanese. In spite of persisting South Korean embitterment over the comfort women, Abe has also mentioned reevaluating Japan’s 1993 international apology for their abuse, further disrespecting and enraging South Korea. For the first time in several months, the latest polling by the ASAN Institute for Policy Studies found South Koreans favoring North Korean Kim Jong-Un (1.3 of 10) over Shinzo Abe (1.1 of 10). Relations have similarly deteriorated with China. Abe has appointed nationalistic supporters such as Naoki Hyakuta- who famously denied the massacre of Nanjing- to the board of Japan’s most popular television network, the Japanese Broadcasting Corporation (NHK). Last December, Abe visited the Yasukuni Shrine to pay respects to fallen Japanese soldiers. While his intentions were to promote patriotism, the shrine honors over one thousand convicted criminals from World War II, several of which committed Class-A “crimes against peace”. The indignation with which China responded, questioning the militaristic implications of his visit, lead even the United States to caution Abe against returning. Early February saw a Japanese bid for the United Nations World Heritage Foundation to register letters written by kamikaze pilots before departure. The Chinese media lambasted the Japanese beautifying of military aggression and immediately shot down their bid. Jeff Kingston, professor of Asian Studies at Temple University’s Japan campus ties Abe’s moves to the revival of an extreme right: “Twenty-first century Japan is in the throes of a culture war led by right-wing reactionaries who feel emboldened under Prime Minister Abe…[t]he vandalism might be a colossal coincidence, coming so close to the uproar over the kamikaze letters- but I doubt it.” If this is the case, the Diary of Anne Frank must have an influence on Japanese nationalism and culture. To better understand, we must shift from the Western paradigm and see the Diary in a Japanese context. In America, the Diary is a window into Jewish life during the Holocaust: it details the injustices suffered by Jews in Germany, poignantly delivered through the innocent voice of a child. It warns of the dangers of racism and anti-Semitism, supporting our rescuing of the Jews while condemning Nazi fascists. Although equally popular in Japan, the Diary there has an entirely different cultural significance. French-Jewish journalist Alain Lewkowicz explains the Diary as a Japanese relic of the Holocaust, resonating with their experience of loss during World War II. He reasons that it is neither the war crimes committed in Nanjing nor the comfort women of South Korea, but the bombings of Hiroshima, Nagasaki, and Tokyo that are most vivid in the Japanese collective memory. Lewkowicz claims that this selective memory has fostered a victimized mind-set in which the Japanese identify with Anne Frank. This interpretation of the Diary is in line with exactly the culture of victimization that undermines Abe’s vision for Japan. Kingston’s statement implies that ultra-nationalists, excited to free Japan from victimizing fetters, have begun taking change into their own hands. Although he failed to acknowledge that the first vandalisms predate the UNESCO bid, he correctly draws attention to a revival of the right. The series of vandalisms does not necessarily bear significance. The truth remains unclear and, until the culprit is discovered, we can only guess as to who is responsible and why. Moreover, the Japanese public’s response—which included calling and apologizing to the Israeli government as well as donating several hundred copies of the Diary to public libraries—is indicative of this incident’s anomalous nature. The defacing of the Diary may have been a coincidence, however colossal. Nevertheless, if politically motivated, it is likely by a rightist undercurrent. Concerns for nationalist aggression are, if excessive, at least justified, for Prime Minister Abe’s championing of reform has begun to revitalize the right.